"Horror," as a genre, has existed in many forms over the years. Films, novels, and paintings have been lovingly crafted with the goal of causing your throat to tighten, your heart to race, and your mind to panic at even the most familiar of sounds. When video games embraced horror, however, the entire scope of its use as a source of entertainment changed. With a film, the only decision you make is whether or not to continue watching. With a novel, you decide whether or not to turn the page, with that act having no impact on the progression of the story itself. But video games, at their core, are about interaction. About giving the recipient of the entertainment - the player - control. Limits exist, of course, but not in the same way as in prior mediums. Instead of making the decision to watch, you made the decision to do. In order to see the story unfold, you had to walk right into it. And walk we did. Even in the industry's youth, games existed that attempted to capture this sense of horror, although this was most commonly done through the use of a typical horror setting within an action-genre game. 20 years ago, Resident Evil was born. With it came the birth of a new genre: Survival Horror. While the game has been credited with the popularization of the genre, elements existed prior to its release, with many earlier video games being retroactively labeled as survival horror titles. One of the oldest survival horror video games did not include hordes of zombies or a dark, eerie mansion. The 1981 title 3D Monster Maze used a different kind of monster - a massive, and seriously pissed off, Tyrannosaurus rex. Survival was the ultimate theme of the game, as fighting the sprawling dinosaur was not an option. You simply had to escape before you were killed. It was, ultimately, the original survival horror. 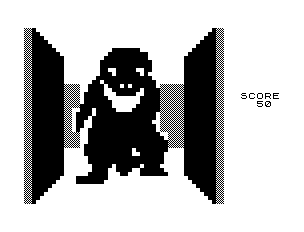 One of the first titles conceived, built, and delivered with horror on the mind was Atari's Haunted House in 1982. Similar to how people discuss Hitchcock's classic Psycho, Haunted House was more about what was not seen, with only the character's eyes visible and nothing but a single match to guide his way through the piercing darkness. There were sounds, there was tension, and there were living threats. You were weak, vulnerable, and virtually defenseless, with an emphasis on flight over fight. You were, in the truest sense of the word, just trying to survive. 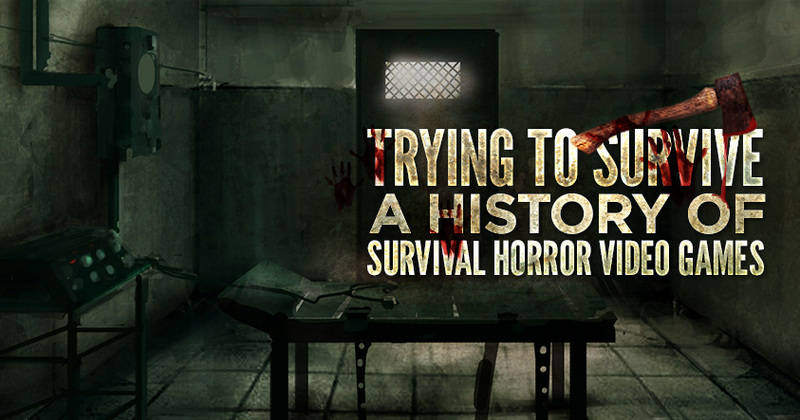 Haunted House has since found itself part of the survival horror genre. Despite being one of the genre's earliest pioneers, 'survival horror' was a term that itself would not be coined for more than a decade. In these types of games combat is de-emphasized, the environment - and its inhabitants - are incredibly hostile, and all odds are overwhelmingly against the player. In place of direct combat, it's not uncommon to come across puzzles as a form of navigation, and the character is likely to be atypical of what one would expect from a game protagonist in any other type of game. Resources may be limited, time may be precious, and things may truly be going bump in the night. And the player is there, walking forward. While many games that followed Haunted House waved the horror flag, they were once again done through atmosphere and plot without incorporating the theme of 'survival' beyond "don't die before you get to the end." The difference between the two boils down to a matter of resources, odds, and the emphasis on combat. Games like Castlevania, Kenseiden, and Ghost House embraced horror in atmosphere without fully utilizing any of the other elements. In 1989, however, survival horror saw a rebirth in the form of Capcom's Sweet Home. 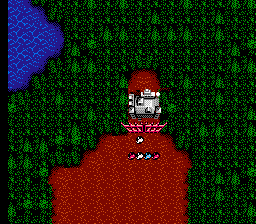 Sweet Home, despite being an RPG, included an intense focus on survival - death, after all, was permanent. It is also widely thought to be the 'original' survival horror, largely due to its influence on Resident Evil - in fact, what became the first Resident Evil game originally began as a remake of Sweet Home. The game featured random encounters, giving the player the option of fighting or evading. The game's protagonists were not police, decorated war heroes, or experienced vampire slayers. Rather they were five ordinary people, entering a mansion in the hopes of locating the long lost frescoes of a famous Japanese artist. They enter with no weapons, and are trapped in the house. The corridors are tight, the lighting ominous, and the enemies horrific. And you are left attempting to preserve the lives of your party. In 1992, the Lovecraftian wonderland, Alone in the Dark, aided in pioneering survival horror. The player assumes the role of a detective who, shock of shocks, is tasked with investigating a haunted mansion. Despite not yet waving the "survival horror" flag, as the term had not yet been coined, Alone in the Dark was the first 3D survival horror game. Puzzle solving was the primary method of advancement, and the mansion's undead inhabitants could be evaded, slain, or banished. It also introduced notes and books, which would become genre staples. The game, originally intended to be the first part of the Call of Cthulhu series, was so successful that it spawned its own franchise. The first fully 3D survival horror came two years later with the release of Doctor Hauzer. The game allowed for the switch between multiple camera angles (third person, first person, overhead). Most interestingly, there are no enemies, technically. The primary antagonist of Doctor Hauzer was the - you guessed it! - house that you are in. Puzzle solving was once again a primary mechanic, and survival was related to the many traps that this mysteriously sentient house tossed your way. The following year D released, bringing with it even more of a focus on problem solving and a new challenge to survive - cannibalism. Also that year, Clock Tower introduced stealth, entirely de-emphasizing combat, with the player having to either evade or outsmart their enemy in order to survive. And then 1996 happened, and everything changed. 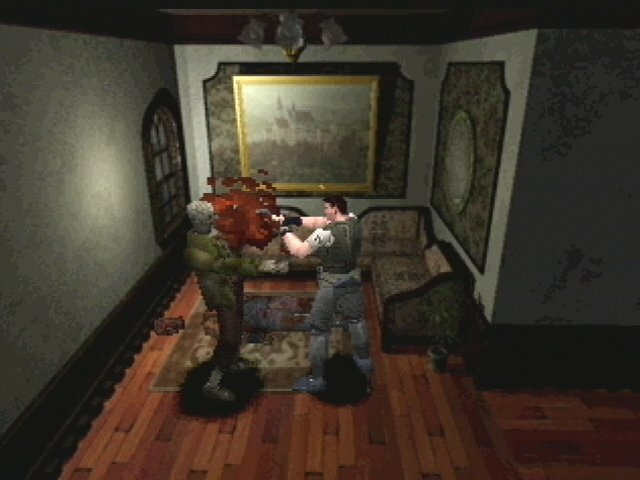 1996 was the first time we had heard the term "survival horror," as it was used in the marketing of Capcom's classic Resident Evil. The game, which started as a simple remake, had taken on a life of its own, sending shockwaves through the industry and completely changing the way people looked at survival in video games by setting survival at the core of the experience. Resource conservation was brutal, the enemies were equally brutal, and the characters were simply human, although certainly capable. Resident Evil's success led to not only the birth of a genre, but also contributed to the success of the PlayStation console. Similar to the way Doom clones saturated the industry following its release, Resident Evil clones spawned, and following the game's release the industry saw a wave of similar titles, all adopting many of the key elements present in Resident Evil in an attempt to replicate its success. None were more successful at this than the 1999 title Silent Hill, which spawned its own massive franchise. Silent Hill took the idea of a more relatable protagonist and amplified it, following a father in search of his missing daughter in a mysterious town. Silent Hill further propelled survival horror forward, utilizing more psychological horror elements while taking a very human mission - finding your lost child - and morphing it into a terrifying experience. Throughout the past twenty years, since the genre's official birth, survival horror has constantly been defined and redefined, with one ultimate goal - to horrify, and to force the player to survive the horror. While several of the key franchises in the genre have ventured away from these elements - I'm looking at you, Resident Evil - the world's love affair with being scared out of their pants has not waned. The future of survival horror is bright, with much still be to explored. Assuming, of course, you're not too afraid to open the door.